Hi everyone! It’s Friday and you made it through another work week, yea!!! To celebrate all your hard work. I have a new cocktail recipe up for you today. 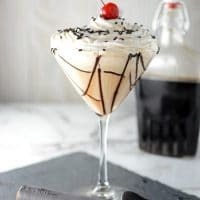 The Mudslide is probably my most favorite cocktail ever! 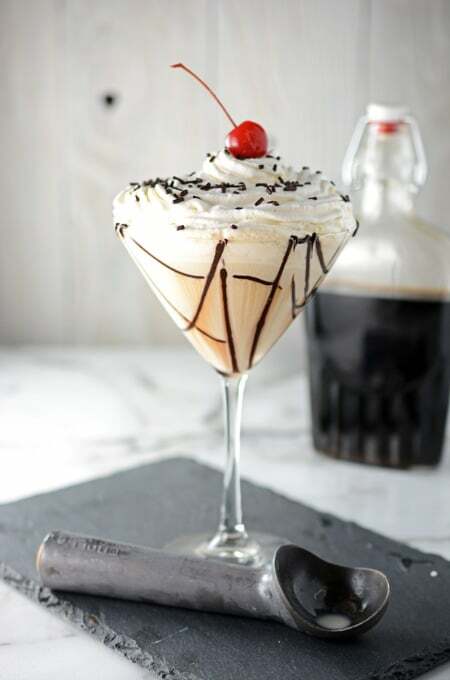 I like my Mudslide with a little Homemade Whipped Cream on top. 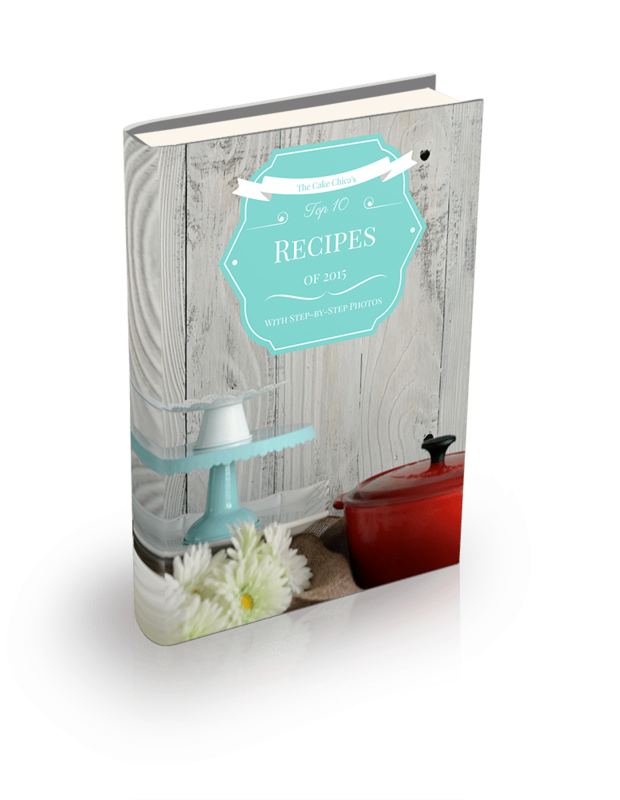 You could also add cherries, chocolate sprinkles, mini chocolate chips or some chocolate drizzle. It’s been awhile since I’ve had a Mudslide and after I made this one, I don’t know why? It tastes like cocktail heaven. Want to get your kids in on the action? Well try this Chocolate Chip Monster Milkshake! It uses a lot of the same ingredients and truth be told I made this Mudslide and the Chocolate Chip Monster Milkshake on the same night! Enjoy! Drizzle chocolate syrup in a cocktail glass if using. Process the first 5 ingredients in a blender until smooth. 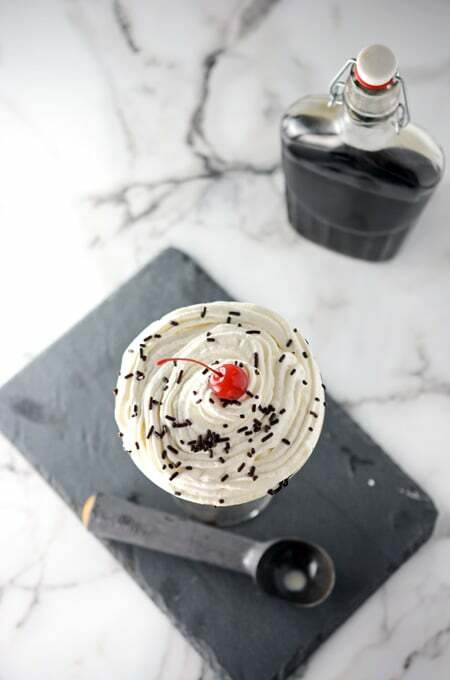 Pour into the prepared cocktail glass and garnish with homemade whipped cream and a maraschino cherry.